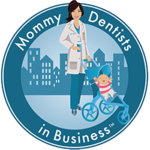 Dr. Scott Drucker Interview on the "Mommy Dentist in Business" podcast. 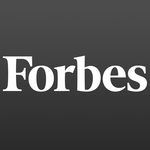 Listen to Dr. Scott Drucker as he's interviewed by Dr. Yum. The Dental Supply Industry Needs a Thorough Cleaning. Just as crucial, consumers need to be proactive in identifying anticompetitive behavior and its resulting stagnant prices and products. As the dental community diversifies its sources of supplies, technology will play a major role in accelerating the dental supply industry’s return to competitive dynamics. Online platforms such as SourceOne, Supply Clinic, and Amazon will lead the charge by introducing ever greater efficiencies and driving prices to competitive levels. Supply Clinic, the online marketplace for dental supplies, announced the addition of a dozen new product lines to their customer offering leading into 2019. 3M Oral Care, Kerr, GC America, DMG America, and Parkell’s products are now available for purchase at SupplyClinic.com. “You can’t improve what you don’t measure”. Certainly, there’s plenty that can’t be measured well -- confidence, integrity, collaboration. Nonetheless, there’s more than enough that can and should, be routinely tracked and monitored. Dentists may not think about their supplies much, but they typically spend $50,000 each year stocking their offices with everything from anesthetics to x-ray holders.1 Historically, dentists have turned to large, established distributors to purchase their products, but today's landscape is rapidly changing. The stereotyping says young dentists are risk-averse, don’t want to scrimp and save to venture into the dog-eat-dog world of small business ownership, and would rather work for a lucrative salary so they can plunk down monthly payments for a shiny new “beamer.” However, there’s a 29-year-old named Scott Drucker who splits his time between nurturing a start-up business in a healthcare incubator hub in the Merchandise Mart and traveling the country supporting that business, and also spends a day practicing dentistry at an office more than 40 miles from his home. The traditional dental industry has gotten into a rhythm over the years and so that means it’s ripe for disruption. Steve Grzanich kicked off the week with the CEO Spotlight featuring Jacob Drucker (CEO and Co-founder of Supply Clinic) who through the perspective of his brother’s dental industry is pushing the importance of an alternative to the traditional wholesale/retail buying for dental practices. Consumers are changing the way they expect to interact with those who provide goods and services. This is inevitably changing what it means to be a patient in dentistry. Because dentists buy supplies and increasingly buy services as well, this is changing what it means to practice. The changes are rapid, but not yet clear. Meet 20 professionals shaking up Chicago business. Looking for the next big thing? Follow these young change-makers. Among their ranks: social problem-solvers, emerging entrepreneurs and money masters. Supply Clinic, the online marketplace for dental supplies, announced the appointment of John Strong, founding president and CEO of Consorta, Inc. and past Senior VP of Premier, Inc., to its Advisory Board. Supply Clinic is an online marketplace for dental supplies. Dr. Scott Drucker is the Founder & President of the company. He created the company out of frustration -- tired of going to six different places looking for the best deals. So he decided to open up a one-stop online marketplace. The idea took off, and he is now in his 5th year. I'm incredibly excited to be part of the Supply Clinic team,' said Mr. Weinstein. 'Supply Clinic is revolutionizing healthcare supply chain standards similar to the way GPOs did decades ago, and will help drive down the cost of supplies. The team's infectious energy makes me even more enthusiastic to be a part of this company. It's time to harness web-based marketplace shopping to purchase supplies more efficiently. Supply Clinic is the best and most efficient site focused on dental practices; I'm honored and thrilled to be a customer and advisor,' said Dr. Ganeles. In his current position as Senior Vice President for Sales, Marketing and Education at RODO Medical, DeSimone brihan 20 years of innovative experience in sales and business development to Supply Clinic. As an entrepreneurial clinician, Dr. Drucker has a unique perspective to improve the dental supply market with dentists in mind. His goal is to improve the transparency and efficiency of the healthcare supply market, and optimize operational workflow in the clinical realm. For those of us accustomed to online shopping, the solution is obvious—an online marketplace. On one site, dentists should be able to browse all the products they buy, see which companies sell them, and buy those items right then and theThere’s no reason dentistry needs to stay mired in an old-fashioned model of hidden pricing and price discrimination. 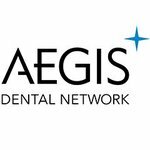 Now celebrating their first anniversary with hundreds of clients nationwide, the brothers have reached a new milestone after signing a contract with a New York dental hygiene school. Upon further research, Drucker found another huge gap in the dental industry: there was no trusted, independent, online resource for dental supplies. Offices would either contact sales reps from large suppliers or piece together orderser of smaller, less expensive sources. It was time to introduce the dental world to the future: an online marketplace. I'm very excited to have an opportunity to interview my friend Dr. Scott Drucker, the co-founder and president of a super exciting tech startup called Supply Clinic. 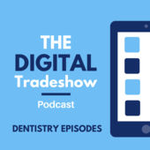 Scott shares a unique story of going from periodontal residency to founding a company, a life altering decision, what success is and how to take a leap of faith and be confident. Chicago startup Supply Clinic aims to make it easier for dentists to buy their supplies. The longterm goal for Supply Clinic, Drucker says, is to be a marketplace for all kinds of healthcare products, not just dental supplies. And a key feature the company plans to build is a reoccurring purchase function for frequently used supplies like gloves and masks for a more consistent stream of revenue. Now, dentists can go to a single, comprehensive platform to compare market prices for all of the products they buy, as well as write and read product reviews. Because of its comprehesy-to-navigate model, Supply Clinic promises to save dentist offices both money and time. To wrap up its first week at the Merchandise Mart, healthtech-focused incubator Matter announced 10 new member companies.